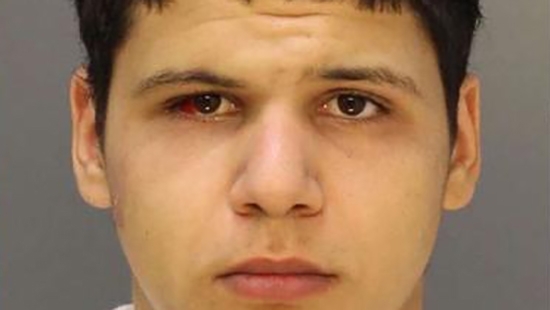 Police have identified the teenager arrested for shooting a Good Samaritan in Rittenhouse Square last week. 17-year-old Mehdi Fraiji of the Graduate Hospital neighborhood turned himself into Central Detectives at 4 a.m. on Saturday. He is charged as an adult with Attempted Murder, Criminal Conspiracy, Aggravated Assault, Robbery, and related offenses. The shooting happened around 9:30 p.m. on Tuesday, October 18th inside the park. Fraiji and another male were trying to rob someone when the 39-year-old Good Samaritan stepped in to intervene. Fraiji took the gun from his partner and opened fire. The two then fled. The victim is in stable condition at the hospital. The other suspect is still at large. Philadelphia Police have released surveillance video of a man who caused extensive damage to the stone staircase leading into the Union League early on Monday. It happened at 3:02 a.m. on Monday morning on the front of the iconic building at 140 S. Broad Street. The man pulled off the brass railing causing one side of the stone to collapse. The video shows the man dragging the hand rail away from the building. Several different cameras in the area captured him as he wrapped up the piece of metal and carted it away. At one point it appears he had some help. He was last seen heading west on Samson Street. The man is described as a black male, 40-50 years-of-age, thin build, wearing a dark hooded jacket, and blue jeans. 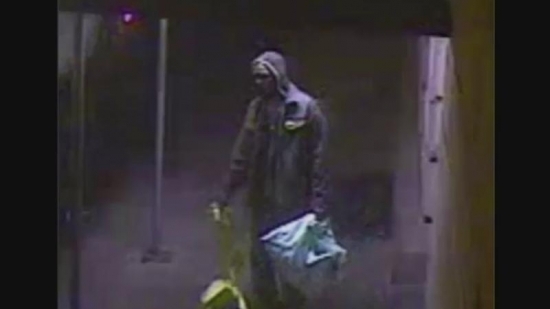 Anyone with information is urged to contact the Central Detective Division: 215-686-3093/3094. Police are investigating a possible burglary at Boyd's in Center City after the front windows were smashed overnight. Officers responded to the burglar alarm around 4:30 a.m. to find the front display window shattered. There was a mannequin and some clothing items on the sidewalk as well as a car bumper. The store is taking an inventory count to determine if anything was taken. Boyd's is known for its high end men's and women's fashion. The northbound lanes of the Northeast Extension of the Pennsylvania Turnpike reopened just before 3 p.m. after being closed for hours following a multi-vehicle crash just north of the Lansdale exit. The crash happened around 5:30 a.m. Tuesday on I-476 N. It involved four tractor trailers and several cars. There have been no reported serious injuries. The road was closed between Lansdale Exit 31 and Quakertown Exit 44. This afternoon, partly cloudy and breezy, temperatures in the mid 50's in Center City.